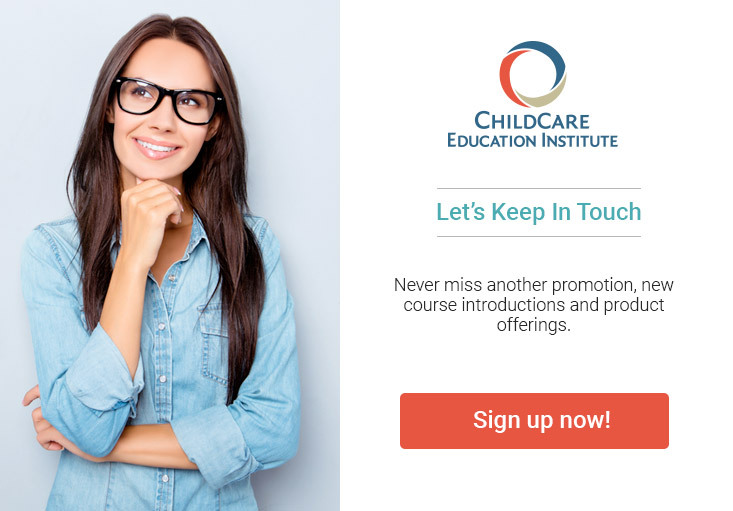 Courses offered by ChildCare Education Institute (CCEI) provide International Association for Continuing Education and Training (IACET) Continuing Education Units (CEUs) and as such, are accepted by the Ohio Professional Registry (OPR) and the Ohio Department of Job and Family Services, Early Learning and Development to meet required annual in-service training hours. Earned CEU’s which have been verified in the professional’s OPR profile are applied to the PD Certificate and are calculated into a professional’s CPL level as Ohio Approved (OA) training. Providers must submit their CCEI certificates of completion to the OPR for verification of CEUs. For additional information regarding the approval of CCEI’s coursework in Ohio, visit the Ohio Department of Job and Family Services, Early Learning and Development homepage or contact the Bureau of Child Care and Development at 877.302.2347, option 4.